How Does the ‘Try Before You Buy Program’ work? Take advantage of our popular test drive program! Choosing the right hearing aid can be confusing. You might be afraid of how they look, how they feel, or wonder if the benefit will outweigh the cost. 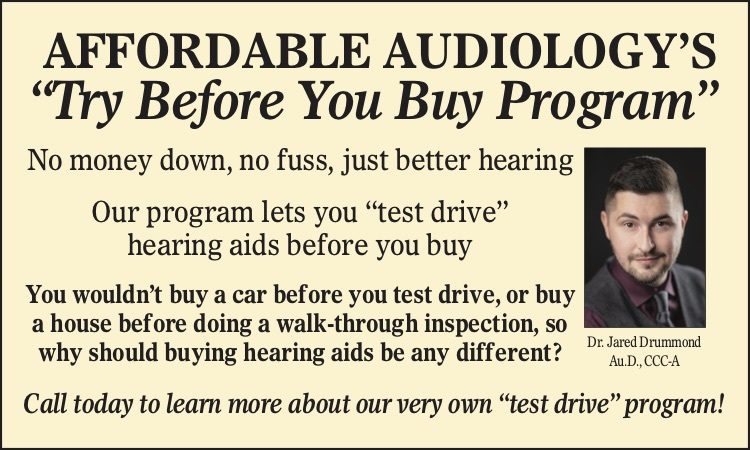 At Affordable Audiology, we understand this apprehension, which is why we started our very own “test drive program.” You wouldn’t buy a car without test driving it, or buy a house without a walkthrough inspection, so why should you make a major decision like which hearing aid is right for you without knowing exactly what you’re getting first? If “test driving” is something you’d like to do, we’ll program a pair hearing aids to your exact hearing prescription and let you take them home for a week. This is a completely risk free trial and does NOT require any money down. We want YOU to decide whether or not hearing aids are a good match for you, and that your problems are being properly addressed. If you decide to purchase hearing aids after your “test drive”, we offer a 60-day return policy in case you change your mind. If you’re not delighted with the results, bring the hearing aids back for an exchange or refund.